Helsinki based GetLocalization offers a turnkey web/mobile app localization platform that can also be used to manage the translation of common office documents (MS Word documents). The service, like similar localization management tools, enables you to upload your localization files, HTML pages, and Microsoft Office documents to a centralized repository, and from there manage how they are translated to the languages you need to support. 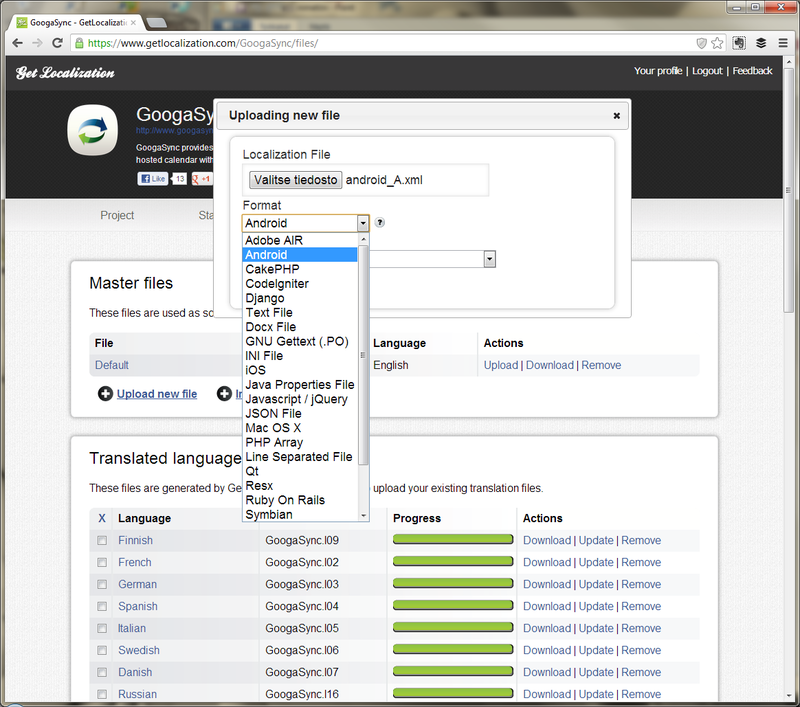 GetLocalization enables you to upload a wide variety of file types, from localization files (e.g. XLIFF, PO, etc) to Microsoft Office files. The service enables you to select among different translation workflows including machine translation, crowd/user translation and also to order professional translations via GetLocalization’s network of several thousand professional translators. A popular workflow is to have GetLocalization batch translate your prompts and documents, and then have trusted users or your own professional translators review and post-edit these translations. GetLocalization plans are priced based on the number of projects you are managing (monthly fee) and translation volume (per word fees). Translations are priced roughly based on the number of words, target language, and speed. The service quotes prices on demand prior to ordering. While other services provide fixed per word prices, this approach allows GetLocalization to adjust pricing in response to market demands, for example to recruit translators who are proficient in less common languages. 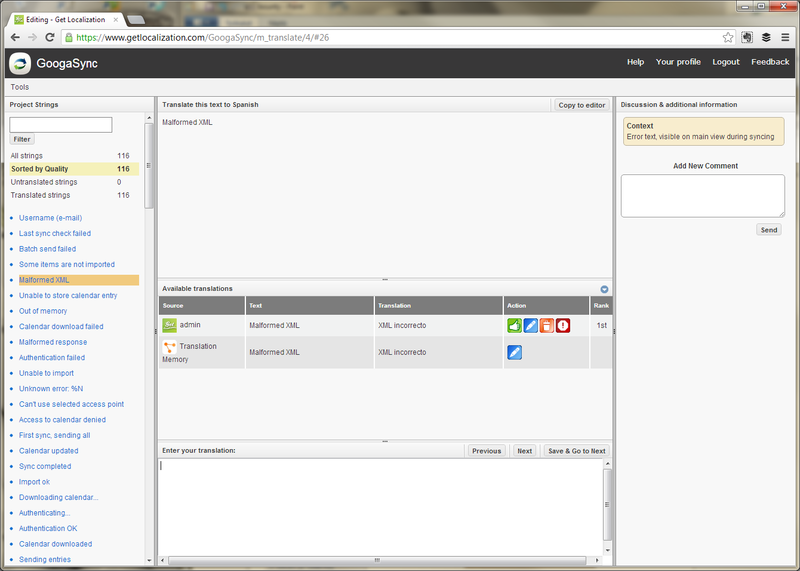 Similar services include OneSky, Tethras, Transfluent and Transifex. This entry was posted in crowd translation, document translation, game localization, localization, mobile app localization, translation agencies and tagged app, apps, localization, localize, mobile, translation. Bookmark the permalink. Looking for someone to manage localization for your business? We offer localization management as a service. Many companies need help with this, but don't know where to turn for expert advice. We provide you with a single point of contact for everything related to localization, from sourcing translation agencies, to refactoring software. Whether you are looking to expand internationally, or are looking to reach new markets at home (such as Spanish speakers in the US), we can help. Visit to learn more here.